If we want to prepare young people to live fulfilling lives, it is worth reflecting on what makes our own lives fulfilling. 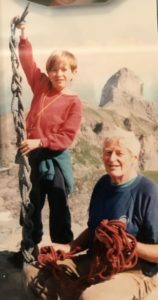 Research can tell us a fair bit about that, but in this blog I want to provide a personal reflection on that question, particularly focusing on the role the outdoors and adventure have played in my life, and why I would like all young people to have such opportunities. For many parents, the first time they spend a night away their child is quite a big deal. In my family, things were a bit different. Not long after I was born, my mum received a letter offering her a job accompanying a tour group to China. “What bad timing!” she said. 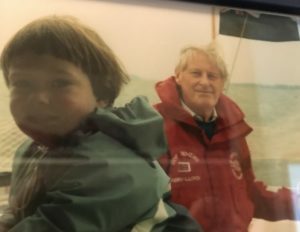 However, never one to let obstacles stand in his way, my 65 year old dad (who had recently been rescued by a Korean oil tanker when he sank, crossing the Atlantic single-handed) looked at her in confusion, perplexed as to why she wasn’t leaping at the opportunity. “Of course you must go” he said. So, when I was three months old, my mum packed her bags and went off to China, whilst her pensioner husband worked out how to look after a baby. It was an incident that set the tone for my childhood. Not long after that, it was my dad’s turn to head off, this time to accompany an expedition to the Arctic (Svalbard). 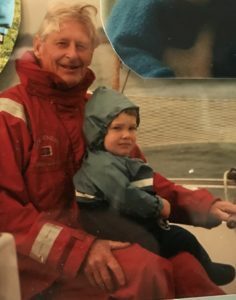 Then, when I was one year-old I joined in the fun, and we all went sailing around Norway in a small sailing boat. Learning to walk on a wave-tossed boat proved tricky but hanging from the ceiling in a harness suited me just fine. 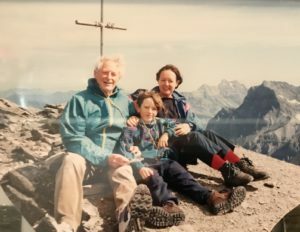 Life marched on to an adventure-driven beat throughout my childhood: for my 10th birthday I requested that we tackle my first Alpine summit, for my 18th, my first winter peak and for my 21st, an Alpine mountaineering course. Meanwhile my mum joined expeditions to the Russian Far-East and China most autumns. I was incredibly fortunate to have these opportunities, and knowing how profound an impact they have had on my life means I cannot bear the injustice of so many young people missing out. I therefore want to set out the main ways these experiences have gone on to influence my life, as well as highlighting some of the emerging evidence around the benefits of such activities, before turning to the dramatic gap in access, that so urgently needs closing. The outdoors and adventure provide me with a powerful sense of purpose. My desire to spend time in the mountains and in the outdoors has helped me make difficult career and life-decisions and gives me things to look forward to and goals to, train for on a day-to-day basis. On top of that, I’m aware that much of my network of friends is built around the activities I do. When I moved to London to train as a teacher, I joined a climbing club and made a whole group of new friends outside of school (through the wonderful Not So Trad). These friends were a breath of fresh air at the end of my toughest days in the classroom. I also went on to meet both my current and previous boyfriends through climbing (and the club). When I hear my disgruntled and unhappy peers complaining about losing touch with friends, struggling to find a new circle of friends or battling endless cringe-worthy internet-dates, I only wish they had had a chance to develop a passion that brought them together with others who shared their interests, outside of work. Of course, I’m fully aware that pigeon fanciers, stamp collectors and railway enthusiasts could equally write grand-sounding pieces about how their passions are crucial pillars of a fulfilling life and in many ways I agree with them. For some people it is art, a team sport or a hobby like playing an instrument that provides them with purpose and social networks. What is unacceptable is that young people from some backgrounds are far less likely to have opportunities to try different activities that might go on to become life-affirming passions. It is unacceptable that young people from some backgrounds are far less likely to have opportunities to try different activities that might go on to become life-affirming passions. On the other hand, I think I’m particularly lucky that my hobby of choice involves the outdoors and adventure. These activities seem to me to provide a very special perspective on life, and foster certain attitudes. When things seem ‘a bit much,’ for example, it is the vastness, wilderness and sublime beauty of mountain environments that puts things into perspective, helping me to be calm, present and reflective – something I find deeply nourishing. 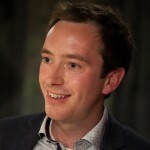 Indeed, research has explored so-called ‘connection to nature’ and whilst the findings are limited in their scale and rigour, they point towards a link between such a connection and mental well-being, life-satisfaction and autonomy. Coupled with that, adventurous activities involve overcoming challenge and discomfort through perseverance and self-mastery. 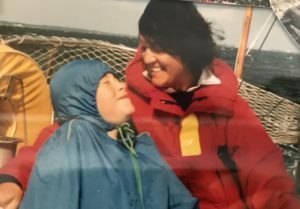 Experiencing this from a young age – whether sailing through a storm, or climbing a particularly difficult problem – has helped me become confident that calm, careful and determined hard-work will yield a solution. (Which is quite helpful when setting-up and running a small company). Indeed, a 2013 meta-analysis by Bowen and Neill found that ‘adventure therapy’s’ largest effects were on “psychological state and level of mental functioning,” whilst its second largest effects were on “thoughts about and perceptions of self.” The Education Endowment Foundation speculate that effects in these areas may explain the apparent link between outdoor/adventure learning and academic outcomes. Young people who grow up in poverty all too frequently miss out on the kinds of experiences I have learned to value so much. 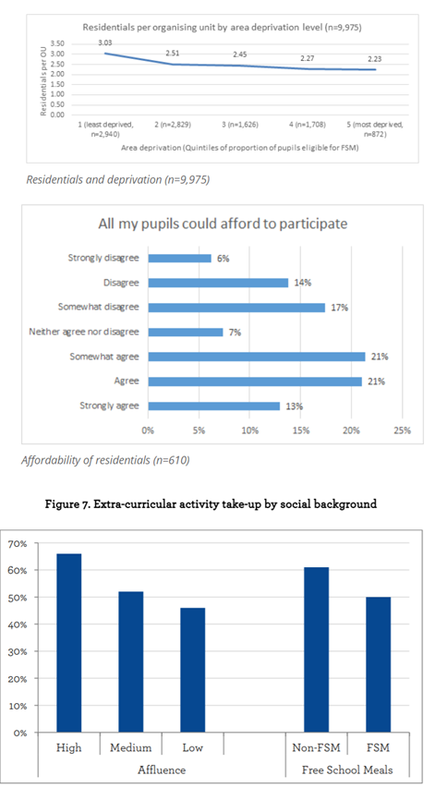 The Sutton Trust’s Life Lessons report, and our own study of residentials, show that young people’s access to extra-curricular activities depends on their socio—economic background. Pupils from advantaged backgrounds are nearly 50% more likely to participate in extra-curricula activities compared to their disadvantaged peers, and, not only do schools in disadvantaged areas organise fewer residential trips; when they do organise them, they are not confident that all pupils can afford to attend. Pupils from poorer backgrounds are therefore doubly disadvantaged in accessing many opportunities. 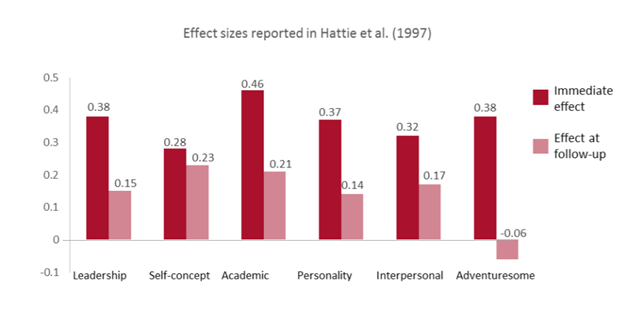 The Education Endowment Foundation’s toolkit states that “studies of adventure learning interventions consistently show positive benefits on academic learning.” However, summaries of effect sizes like these are plagued by methodological issues and, as I have argued before, justifying enrichment instrumentally, based on academic impact misses the point. Academic outcomes are critical – they open doors, provide access to opportunities and are highly predictive of all sorts of life outcomes. However, our lives are a rich tapestry of purpose-giving sources of fulfilment and we should not overlook inequality in this realm. Policy makers and the youth sector therefore cannot allow austerity, child poverty, the hollowing-out of youth-clubs, and a narrowing curriculum, to stand in the way of all young people having fair access to life-changing experiences.